Processing is open source software often used by schools and self-taught students. Designed as a first programming language, it is geared toward creating visual, interactive media. 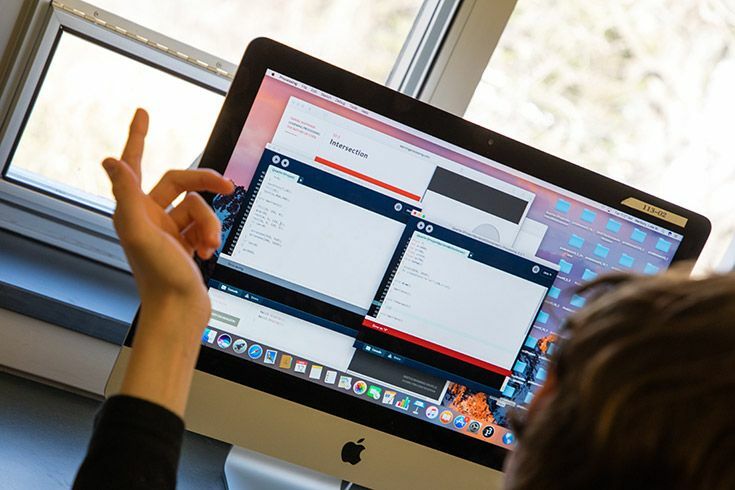 Because of its similarity to Java, a language used by professional developers worldwide, it is a true building block for learning more complex languages. A look at Processing's interface. Although every student in class learns the same concepts, Mr. Kraut emphasizes choice in every assignment. 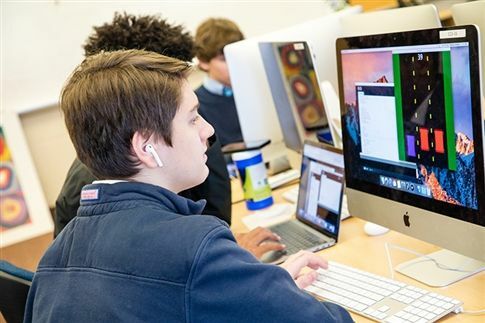 This is critical to successfully teach a class in which some students are learning to code for the first time and others have been building programs on their own for years. 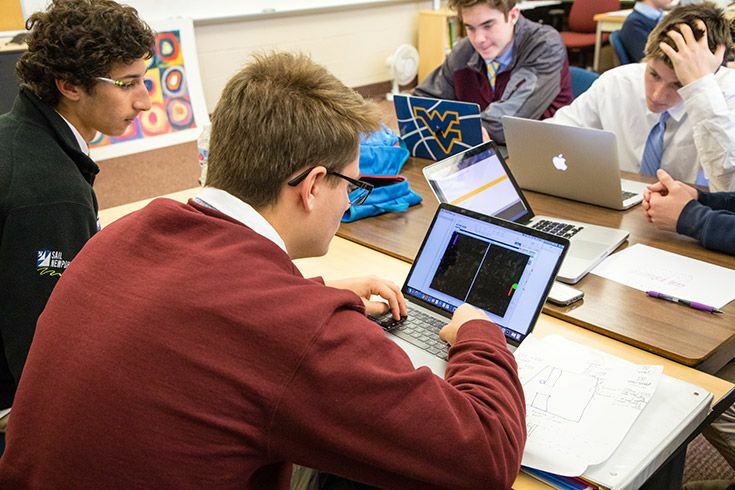 Students can work on their own laptops or use lab computers to complete their projects. Mr. Kraut reviews every proposal and makes suggestions as needed based on each student’s submitted strategies. In this way, he acts as facilitator during the learning process — students develop their own ideas and methods for improving them. It is expected that students struggle through each of these steps. There are no guarantees that their ideas will work. Missteps are a given as they code their designs and each step has an effect on the next. Students build their programs with sketches and notes nearby for reference. 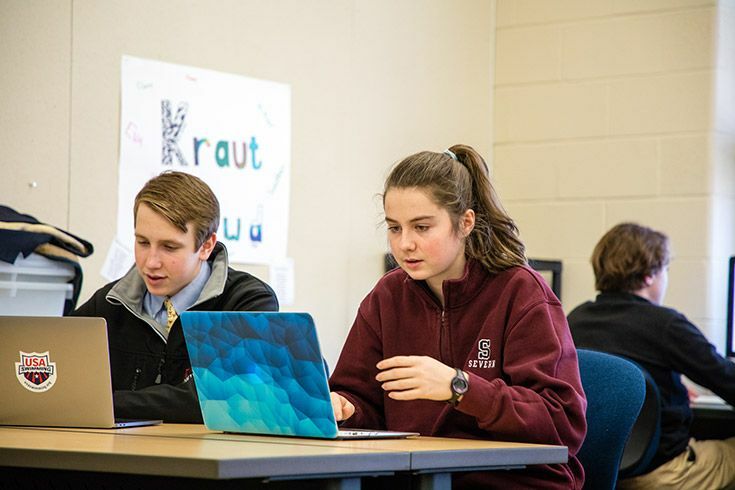 Mr. Kraut’s students have about six class days to develop their programs, with a final day to talk to each other about their work. They talk about the steps they followed, how to program a particular sequence or how to manipulate a piece of code to get the desired outcome. Not only do our students challenge themselves through these projects, they learn from one another. These projects require an iterative process, checking to see if each step works before moving to the next. Although there are best practices to follow, there is no single, correct way to complete these projects. Our students share their ideas in much the same way that developers do in the professional world today. 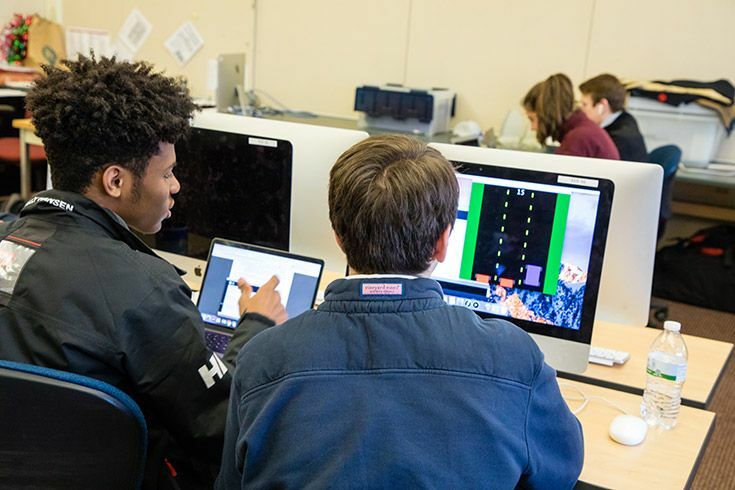 In any industry, collaboration moves innovation forward — our students are learning just how powerful this type of cooperation can be. 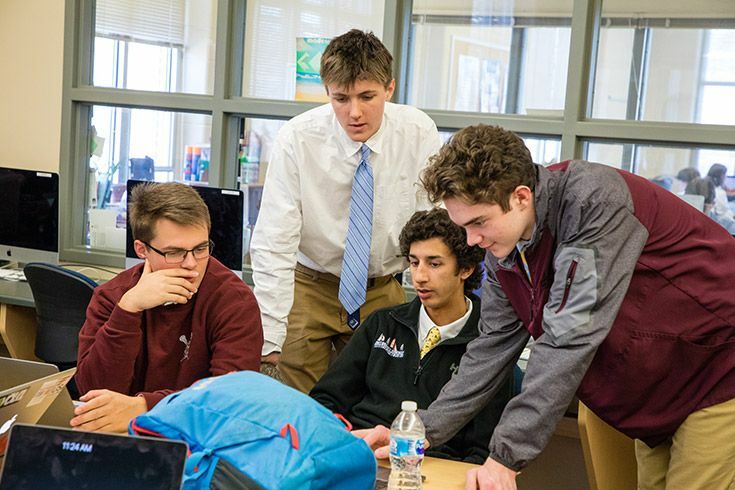 Collaboration isn’t reserved just for the last day of class, students help each other throughout the entire process. Students work together to help troubleshoot a project.